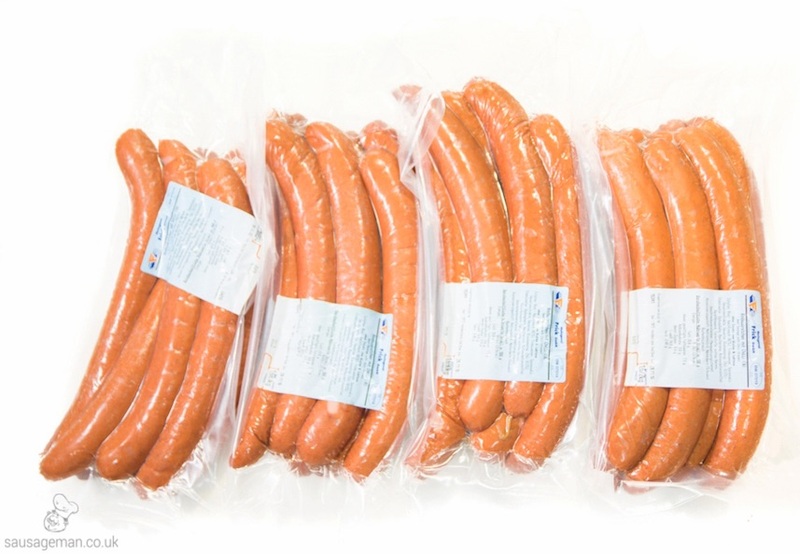 Continuing from our last post, we've decided to add some more interesting products in this post so you can get familiar with some of our sausages' sizes, ingredients, best cooking methods and other facts. Have a look below and don't forget to check out what others say about our products by visiting our testimonials page. We are UK's hot dog suppliers. Our premium products are distributed all over the country. Get in touch today for more information. In our last post we showcased our beef Vienna sausages, the famous bratwurst, the popular jumbo frankfurter (perfect for hot dogs! ), the delicious cheese sausages with real Emmental cheese and our bestseller: the bacon frankfurter. Today we will talk about our tasty paprika sausage, the exciting beef chili frankfurter, our popular pork hot dogs and, of course, our beef hot dogs. No casing, straight pork hot dogs are the ultimate hot dogs experience! No casing, straight beef hot dogs just like in New York! We have a lot of variety regarding the products we supply and as UK's premium hot dog and German sausages supplier we wanted to showcase our products across a number of entry posts so you could have a sense of what each product entails. We will link to the other posts below so you can have a look at all the hot dogs and sausages listed. UK's Favourite German Sausage Suppliers! We've been supplying hot dogs and German sausages to the UK for over 10 years now. If interested in any of our products please get in touch today. If you would like us to import a particular product let us know as well.